A home inspector does a whole lot more than check for working outlets and make sure the dishwasher works. If you are wondering if you really need a home inspector, chances are you do. See this home inspection checklist to make sure your inspector covers all the bases. Remember, different states have different requirements for home inspections. So, be sure to find out what is required in your state. Check with the American Society of Home Inspectors for existing home inspector regulatory legislation by state. Who Hires The Home Inspector: Buyer or Seller? Home inspectors typically cost $400 to $1,000 — depending on the size of the home, and also your locality. Typically, home buyers pay for home inspections. The reasoning is that the home inspector works for whoever pays him. If you are the buyer, you want the home inspector to be most honest and obligated to you, rather than the seller. This does not mean that he will be dishonest, but hiring the home inspector yourself will help to ensure against any improprieties. Speaking of improprieties, you don’t want to hire a home inspector recommended to you by your realtor or mortgage broker. You want someone who is not connected with anyone else who will benefit from the sale. However, this doesn’t mean the home seller should not have their own home inspection done. Paying for a home inspection before you put the home up for sale will save you from any embarrassing discoveries. It also allows you to make repairs in advance. 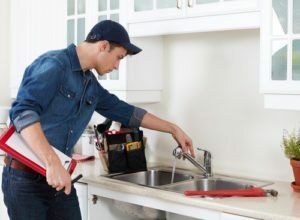 The danger with waiting for the buyer’s home inspector to point out potential problems is that one single problem can make the buyer wary and they will likely suspect other potential problems. They will be more inclined to blow small issues out of proportion and use these against you in negotiating the price of the home. It is therefore best to hire a home inspector on your own as a precaution before the buyer’s inspector makes his report. When looking for a reputable home inspector, start with the National Association of Certified Home Inspectors (NACHI). They will point you toward the best certified inspectors in your area. By the way, their website also provides all the information you need if you are thinking about a career in home inspections.